June is mostly considered a hot month for Pakistan but in the end pre-monsoon activity can start in some parts of the country however this year the pre-monsoon activity started early in the country as first monsoonal activity occurred in South-eastern parts of Sindh on June 4, early than last many monsoon season. PWP had mentioned on June 4 the upcoming scattered to widespread pre-monsoon rainfall in the month of June. In Monsoon II article published on May 6, PWP mentioned the upcoming chances of pre-monsoon activity in Sindh and some parts of Punjab in June. In Monsoon V published on June 7, PWP mentioned that monsoon onset could happen in the country especially the northern areas during last weeks of June/first week of July. *Western trough ’10′ is coming to the northern areas of the country on June 12 or June 13. *Upper air cyclonic circulations present over north-eastern Arabian sea and adjoining Gujarat and Sindh, now lies over Guajrat and adjoining Sindh coast, likely to persist till few days. *A fresh upper air cyclonic circulation formed in the Bay of Bengal, in 24 to 36 hours it may intensify into a low pressure. It may move towards central India. The atmoshperic rain blocking conditions that has been a much disappointed in the year 2012. According to the latest charts, the dust cloud will disappear from the northern and central areas of the country that can only rain bearing clouds if they form to move into the country easily though the southern areas will remain under the grip of weak to moderate dust clouds. If comparing to 2011 and 2012, the dust cloud remained over the country in the month of June but this year it is in weaker form in June. Overall the situation has improved. The Article would be updated on June 16! *The upper air cyclonic circulations over north-eastern Arabian sea now over Gujarat and adjoining Sindh, it will persist till few days. Another Circulation from Bay of Bengal can reach lower central India on June 14 and it could intensify once again into a low pressure. Between June 15/June 16, it will be over Gujarat and adjoining coastal Sindh and absorb the existing moisture from Arabian sea’s circulation, come strong thunderstorms can cross into southern Pakistan even Karachi. 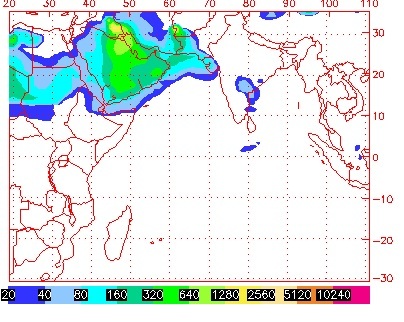 Late June 18, it will over the Northern Arabian sea as a insignificant system. Another possibility of this system it that as it reaches central India, it will move towards north-western India and adjoining Pakistan. We have to wait at least till two days to get a clear picture on the Bay of Bengal’s much anticipated system. Rain at times heavy can occur in capital from June 11 night till the end of the week with intervals. Rain will be accompanied by thunder/lightning and strong winds (>56 km/h). 31°C to 37 °C in Islamabad, variation expected during the first days. Rain at times heavy can with strong winds (>56 km/h)occur in Khyber Pakhtunkhwa as well including Peshawar due to the interaction with western winds from June 13/June 14, south Khyber Pakhtunkhwa and adjoining Balochistan can experience also experience rain. The provincial capital of Balochistan Quetta would remain dry with partly/mostly cloudy skies on June 13 and June 14. 34°C to 39 °C Peshawar. In Northern Punjab: Lahore, Faisalabad, Murree, Gujranwala, Rawalpindi, Sargodha, Sialkot, Faisalabad and other adjoining cities. Rain at times scattered heavy (very heavy in NE parts of Punjab) likely from June 12/June 13 though some rain has occurred on June 11. Rain will be accompanied by thunder/lightning and fast to strong winds (>56 km/h). 33 °C to 37 °C in Lahore. 35°C to 41 °C in Faisalabad. 26°C to 31°C in Murree. In Southern Punjab: Bahawalpur, Bahawalnagar, Multan, Rahim Yar Khan, D. G. Khan and other adjoining cities. From June 13/June 14 rain with thunder/lightning can occur during this week in the eastern areas of the province, there are more chances of isolated heavy falls in Bahawalnagar districts. 36 °C to 42°C in Multan. 37 °C to 43 °C in Bahawalpur. In Upper Sindh: Sukkur, Larkana, Jacobabad, Kashmore, Nawabshah and other adjoining cities. From June 13/June 14 rain with scatterred moderate falls could occur in upper Sindh with thunder/lightning. Following is the range of temperatures expected in this part. 39°C to 44 °C in Sukkur. 40°C to 45 °C in Larkana. 42°C to 46 °C in Nawabshah. In South-eastern Sindh: Mirpur khas, Umerkot, Tharparkar, Badin and Hyderabad. From June 12/June 13, rain with thunder/lightning can occur in this part (chances of isolated heavy falls in Mirpur Khas, Tharparkar and Badin districts). Temperatures are mostly stationary in this part due to absence of heat waves and rains. 35 °C to 40 °C in Hyderabad. In coastal Sindh: Karachi, Thatta, Keti, Shah Bandar and other coastal localities. From June 13/June 14 (June 12 in Thatta districts), rain with thunder/lightning along with fast winds (chances of isolated heavy falls in Thatta). Karachi has been under a grip of hot winds since past week due to the formation of a circulation in the Arabian sea. 36 °C to 40°C in Karachi. With each day passing by, the monsoon is quickly advancing into the country and according to the Indian Meteorological Department (IMD), monsoon is 12% above normal in the country while India would be covered by monsoon by the end of June. In other news, stormy conditions have killed 40 people in Sri Lanka. Each year thousands of people are displaced in the Sub-continent due to the monsoon season. Pre-monsoon activity coming to an end? The pre-monsoon activity that started from June 11 would end on June 18 morning in the country. As forecasted by PWP since June 9 that pre-monsoon might hit the country from June 14 (-2, +2 day error), it happened with -2 day error. 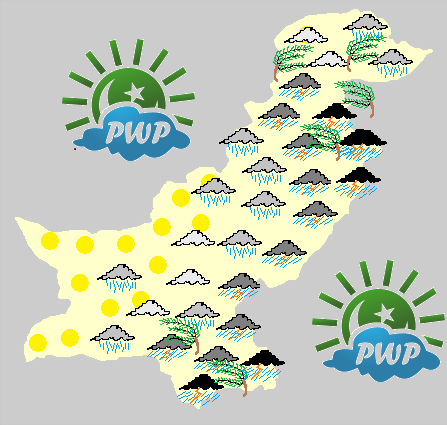 From June 9, PWP had predicted in the Monsoon of Pakistan update that very heavy rainfall is possible in the north-eastern areas of Punjab between June 13 and June 15. 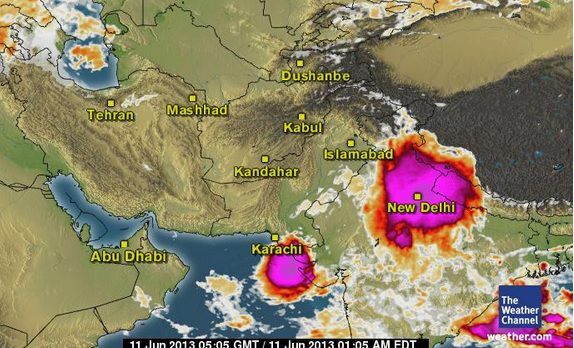 Between June 14/June 15, very heavy rainfall about 102 mm lashed Lahore. Pre-monsoon activity was also observed in Khyber Pakhtunkhwa, Sindh and South Punjab. Overall the performance of pre-monsoon in the month of June has been normal to above normal in the country. Monsoon can hit the country especially the northern areas of the country during the last week of June or first week of July as per PWP. Pakistan’s National Meteorological Department believes that the onset could happen during the first week of July. However as per the Indian Meteorological Department (IMD) the monsoon has covered the entire sub-continent on June 16, a month ahead. Northern areas – After very heavy rainfall, dry weather coming! Mostly dry weather is expected in Punjab including Islamabad and Khyber Pakhtunkhwa as the pre-monsoon activity that started from June 11, weakened significantly on June 15 night though it will end on June 17. On June 16/June 17, north-eastern areas of Punjab can experience isolated rain with thunder/lightning. From June 18, mostly dry weather is expected till many days. Western winds can dominate Khyber Pakhtunkhwa while there can be few passing clouds (slight chances of drizzle/isolated shower) over northern and north-eastern Punjab due to thundercloud formation over India’s Punjab and Haryana, which would not be frequent. Temperatures are going to be calm till the middle of this week and after that a increase would start taking place. Overall long dry conditions expected! Central areas – Dry weather returning! Mostly dry weather expected in the South Punjab as well. Some clouds can occur over eastern parts especially Bahawalnagar district. Southern areas – Another short and weak pre-monsoon activity – Dry weather coming! Another pre-monsoon spell can start in Sindh from June 16 though this spell is weak when compared to the previous one (which was also weak). PWP forecasted this spell on June 12 update at ‘extremely poor’. On June 15, PWP upgraded it from ‘very poor’ to ‘poor’ and on June 16, PWP upgrades it to ‘moderate’. This spell has only potential to cause drizzle or light rain in the province (especially Badin, Umerkot, Thatta, Karachi, Hyderabad, Sanghar, Khairpur, Sukkur and adjoining areas) on June 16 till June 18. Some districts like Tharparker, Badin and Thatta can experience isolated moderate rain with thunder/lightning on June 16 night/June 17 morning. After June 18, dry conditions expected in the province with some cloud activity near Tharparker district. ← Portal Interactive: Rings around the Moon! 81mm of rain in Lahore last night. 3 days back, it was 51mm. What is the forecast for Sunday, bro (especially in Karachi? when will this humid climate and extreme heat will end in Karachi??? AOA… Babar Bhai Bahawalpur Me To AAJ Sky Clear Hai Clouds Bhi Nahi Hain Rain HO Sakti Hai AAJ…. rain did occur in south Punjab, more chances till 24 to 36 hours. No rain in Karachi till the 2nd week of july Taimoor. Make yourself used to this hot and humid weather as fast as you can. Is premonsoon over for Karachi?Is their any system which can influence the city further ahead? Yes their behavior is like pre-monsoon. There are chances that Monsoon can start from the last week of June. AoA Babar Bhai what would be the intensity of 1st moonsoon spell in the country? According to charts, it could be moderate at the moment. Lahore had 102mm of rainfal during last 24 hours (more than 150mm during this month). Bro, what about Islamabad and Murree forecast for sunday? Low moving Westward towards Sindh ? Bro, if this Low comes to Sind, how many days will it stay here? If it does then there is a probability that it would be in dissipating stages. Loads of congrats to you on being on such a prestigious site.I would like to know if there are some rains coming to Karachi in the future? Chances of drizzle/light rain till June 18 morning. As per GFS, there are chances of rain during the last week of June or first week which is little early to discuss. Cumulus clouds coming from NE in Karachi. Heartiest congratulations Babar,we are waiting for your more achievements! LOw pressure over India is dissipating. There was a weak thundercloud over Lahore. Dissipating thundercloud was over Sindh. When will it rain in karachi?Monday,Tuesday? Drizzle did occur in parts of Karachi this morning. OMG look at the thundercloud over Mumbai and Gujarat. Yes its huge and very strong. AOA…Babar bhai Bahawalpur me tonight and tomorow chances hain more rain ke…. Major chances are over now. Bro, Strong system is seen in South-West of India. Can it affect Sindh province in coming days? Moisture can come. Dont expect much! When will monsoon start in karachi? Walikum Assalam, there are chances of monsoon during the last week of JUne/first week of July . Currently Sindh is under a fresh but very weak pre-monsoon activity. At the moment no heavy rain is seen. Its pretty near Sindh province. I have noticed over the years that very strong systems move westward from Bay of bengal and halts at Gujrat and rajhistan for 2-3 days and pour all moisture there.. (Why it is huge difference between rainfall quantities in Gujarat and Sindh) Are thr any visa issues or is it “dust cloud” at work? In 2011, it did not happen and then you saw that 1000 mm (4 till 5 weeks) rain occurred in SE Sindh which is extremely rare even in Gujarat. They do move towards Sindh but travelling from one corner to another corner does causes loss of moisture which is common unless there moisture over Sindh from Arabian sea. 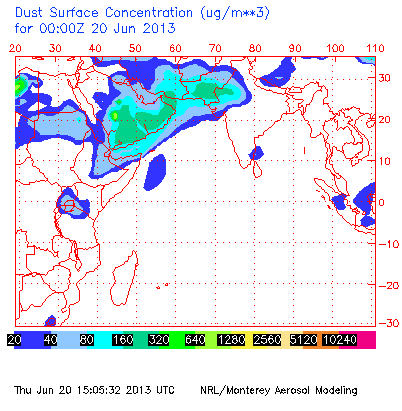 Dust cloud and Western winds too impact the movement of low/UAC over Gujarat to Sindh. This is due to the circulation near Gujarat coast which is attracting winds towards it while SW winds have been cut off. The heat can remain even in the coming week till the rain coverage in Gujarat weakens. Earlier you said that there are chances of rain in last week of june? Now this forecast is same or not?? Yes there are chances still. how will mosoon effect this year in pakistan?any chance of flood? First of all, many congrats for being recognized by the world. Welldone and keep it up. Now questions, aakhir kiya museebat hai k karachi k paros(Mumbai / Gujrat) men achi khasi barish ho rahi hai aur hamen sirf garmi aur humidity mil rahi hai…truly frustrating. The climate of Karachi is very different when compared to these areas. Mumbai has western Ghats that play an important role in the formation of thunderstorms which also favours Gujarat but less in intensity. Karachi has a semi arid climate, its mostly dry. Its not uncommon to see no to little rain even in the monsoon season while sometimes monsoon can even bring flooding rain. The weather is going calm now. However extreme events do create problem like 2007’s cyclone and 2009’s rainstorm. G Nahi. City of KHI bilkul bhi ready nahi hai hamesha ki tran….dekh ligiye ga bus zara mooonsoon ki pehli achi barish hone den phir haal dekhiye ga is shehar ka…. Acha Babar aik bat clear karen Plz, what exactly is the difference b/w moonsoon & pre moon soon season? In short, Pre-monsoon activity is before the monsoon season, it is weaker and occurs in few parts (even city) and it does not stay long. Monsoon stays for long and during its time period, soaking wet rain can occur, they last longer. A little early to give a verdict on their intensity. Would talk about them once this dry weather has passed away. But Babar, jo spell hum ne witnessed kiye hen wo to weaker nahi thay….it seems that regular moonsoon’s ki intensity ziada ho sakti hai…perhaps. I suspect, rising temperatures of Arabian sea kuch gul khilane wale hen in the near future & authorities shod prepare for that as it is surprisingly high these days i.e. 31’C today. 1) Onset of monsoon is likely to be in the last week of June and the rainfall during July will be below normal. 2) Rainfall will increase gradually during August over central parts of the country. However, during last phase of the monsoonal rainfall (September), more than normal rainfall will occur over plain monsoonal areas of Punjab and Sindh. 3) Rainfall would mainly concentrate over central and southern parts of the country. Therefore, effective water management practices may be adopted to fill the main reservoirs at the at optimum level. 4) Flash flooding over foot hills of Suleiman Ranges can not be ignored during the month of September, 2013. 5) Maximum day temperature will be slightly on higher side during summer season throughout the country. 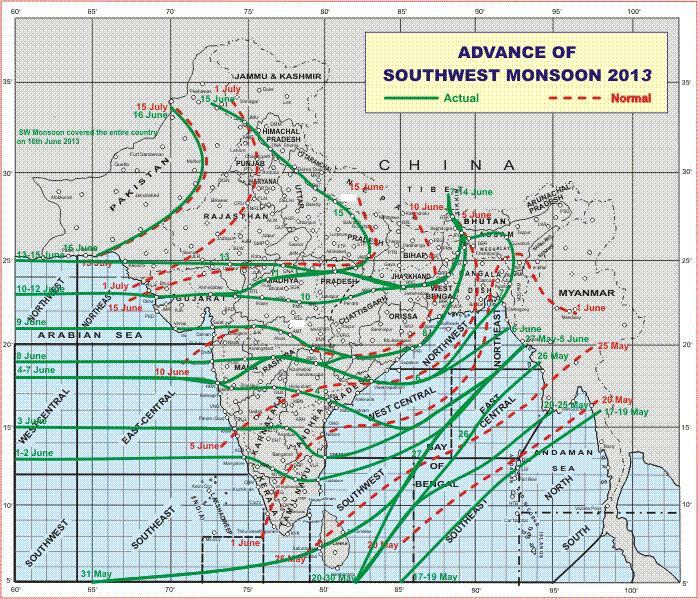 Seasonal forecast for Monsoon of 2013, PMD. Yes have given their forecast now, some what similar to IMD. PWP maintains it’s monsoon forecast. Agricultural areas. At the moment there are no chances of very heavy rainfall..
babar are you agree with seasonal forecast by pmd specially September prediction of more than normal if not what is ur prediction ??? 7pm (17 June). Thunder and rain in Lahore. Sialkot received heavy rain today. Moist western winds are moving from the northern areas still..
when it is going to Rain in Hyderabad? and tellme about the Further monsoon in Hyderabad? is it going to be above normal or below normal in July and Aug? check monsoon of Pakistan page, below the page there is 2013 header in which monsoon I,II, III, IV and V are published. Why did PMD said that rainfall would mainly concentrate over central and southern parts of the country ? You should their prediction from them. However rain concentration seems to be over the northern mainly north-eastern areas of the country in July. Babar Bhai Risalpur mein monsoon kaisa rahega is saal aur regular monsoon rains kab start hongi risalpur mein? doosra sawaal ye hai kay aanay waley months temperatures kaisay rahenge aur heat waves aanay kay kitne imkaanat hain aanay wale months mein.? Temperatures would start to rise now. Till mid of July, monsoon can be near to normal..
AoA Babar, aik bat clear karen aur m again asking you this question, rising temperatures of Arabian sea aakhir kab tak bardash kare ga i mean kisi bhi waqt apna gussa nikal sakta hai & ye Temp kahan tak rise ho sakte hen? is it normal behaviour & usually happened in 3 months of moonsoon i.e June,July & Aug? please eloaborate this in detail. Yes the temperatures are unusual high in the Arabian sea, till the end of July there is a possibility that they can remain high. Around 30c was recorded. is there any chance of rain in sindh? No chances till some days. B.B. Sahab Is there any chance of Rain in U.A.E (Ras Al-Khaimah)???? AoA Babar, yar kal rat se again Sea breez kahin gayeb ho gaye hen? kiya phir koi low form ho gaya hai near Gujrat or Mumbai. Also saw few clouds yesterday night crossing karachi chupke chupke from NE to west side. There still a SW breeze though its weak, it can get moderate. What’s the latest track of the newly formed UAC in the bay ? The latest track shows nothing for Pakistan. there are lot of contradiction in forcasting views.austrailian say something and indian say something.pakistan believes on every thing.i read every article.pwp are in between, could be or not.are u sure 80% chance of neutral oscillation this year? ENSO conditions were neutral but since May/June, a gradual decrease in temperature was seen in the east Central Pacific ocean which could point towards the formation of weak La-Nina in coming months. Earlier this year, the probability of having a neutral year was high. I read one of your comments in which you said monsoons focus will be on north and north eastern parts of pakistan. Does that mean Lahore will get above normal rains in the upcoming monsoon and when is monsoon expected to start here in Lahore? 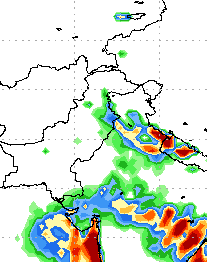 Even in the Monsoon V, it has been mentioned that NE Punjab and Azad Kashmir could witness some frequent heavy downpour. That part of Punjab has some chance of getting normal to above normal rains due to frequent thunderstorm formation near the border. When will monsoon start in islamabad?? Some websites showing rain will be back sunday night june 23 do you think that might be correct?? It could happen after June 23. Today the Pakistan-Arabia Dust Cloud is getting stronger, that you can see at http://www.ecoseeds.com/dust-6-20-13.png which will cause drought and heat in Pakistan until the cloud moves westward and allows the rain to come. Yes dry weather since last few days..
1. Monsoon are giant winds. The tropical atmosphere is unstable. You might have observed that monsoon suffers when there is a change in the wind pattern in high altitude or even the variation in temperature, sometimes these developments are local to be picked up by weather models, charts or even maps thus it is harder to predict monsoon. 2. Monsoon of Pakistan page has been updated for the next spell. Please also update about the second premonsoon spell which you forecasted could strike in the last week of june? AOA..Babar bhai Bahawalpur me kab tak rains ke chances hain…. Passing clouds expected in coming week. No chance of rain seen yet. Mostly dry weather no major chances of rain, slight possibility of drizzle/isolated shower during the end of this week. When will it rain in karachi? There are chances of drizzle which are common in this month during evening/night. When is monsoon likely to start in Sindh(Karachi)?Why no rain still? There are chances of drizzle in Karachi that is common in June till early August. As far as the monsoon is concerned – monsoon rains usually arrives in the city after second or mid week of July. Extreme Humid weather in Lahore. 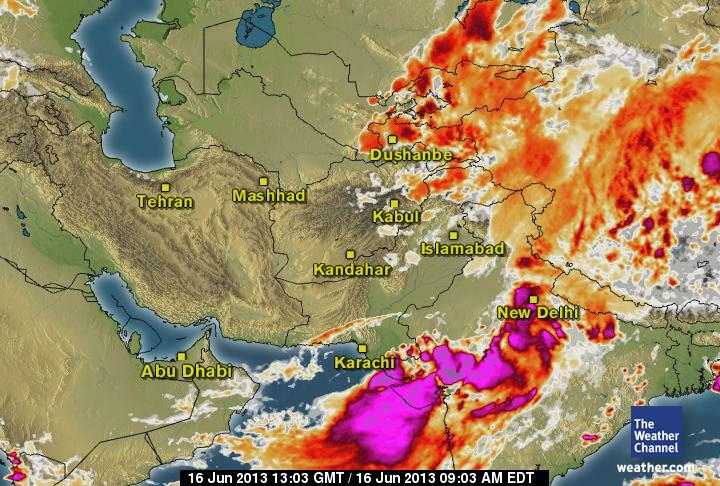 it seems monsoon currents are reaching pakistan. Is rain expected tonight in Lahore? Yes monsoon moisture is reaching the country, a western trough will also affect the northern areas of the country. Rain expected in Lahore with thunder/lightning on June 26/June 27. Babar bhai, will it rain in north western Punjab this week?? We do have some weak clouds and more coming along.. are they bringing rain here as well?? Also, some more questions much appreciated if you would reply. How is this summer going to be for North West Punjab?? Is the rain activity going to be normal or below normal?? Are there chances of rain in Ramadhan or is all of this too early to tell yet?? 1. 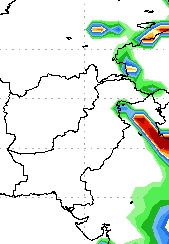 Yes rain is expected in NW Punjab. 2. Rain is expected to be near to normal till Mid July, after that a decrease in rain-coverage could occur in July and then a revival can happen in September (weak La-nina) – Written in Monsoon V (June 6). Frequent moist western winds can occur. 3. Rain activity could be very erratic in Ramadan as of now. What is going on?? It’s raining all around us and like you have mentioned in the updates, it rained in attock which is not far away.. Why are we not getting any rain in Jalalia?? We have some weak clouds which are here since yesterday but no rain even till today..Desperately need the rain here, very hot. Yesterday the cloud formation was weak, a weak thundercloud touched Islamabad and NW punjab before dissipating into Kashmir. Yes, rain is very likely in Jalalia during this week. At the moment, fresh thunderclouds have started forming over central KPK. When are chances high for heavy rain in karachi? Not till end of June. Babar bahi many websites are showing very small amounts of rain in karachi.Can this monsoon be like the monsoon of 2012?? Normally monsoon does not start in June in Karachi. Various Weather Models however do show less rain coverage in southern areas in the start and mid of the monsoon similar to 2012’s monsoon. Have to wait till July. how much rain will occure in chichawatni durring july? There are no chances of heavy rain in the city till next many days. The first monsoon spell could cause of passing clouds in the city especially at night.